2010 was not a great year for most of the 12 horoscopes. Most astrological signs had their worst year astrologically. Gemini, Sagittarius, Capricorn, Taurus, and Pisces had a bad year during 2010. But 2011 will especially be the year of Gemini, Sagittarius, Capricorn, Taurus, and Pisces. Cancer, Aquarius, Libra, Scorpio, Leo, Virgo, and Aries had average year in 2010. 2011 will be again average for these horoscopes. 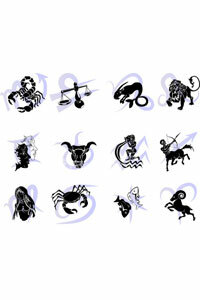 Cancer, Aquarius, Libra, Scorpio, Leo, Virgo, and Aries must be ready to have an average year during 2011. I wish you have a great 2011, all of you my dear readers! The planetary aspects present in your sky throughout this year 2011 encourage you to lean you more on the others and their concerns. Your entourage takes the path on your personal objectives; you will owe to listen to your close relations so to go at the end of things. You are probable to imagine that goes only in one direction and that you are left for account… What is the reflection of your most intimate fears! Do not let these subjective ideas invade the field of your conscience, which would slow down you in your essential progression of this year: comprehension of others. This is as from June that you will meet enthralling moments which will assure you completely. Too several moods contrasted around you make think that you do not be with the height, which you do not control enough the events… The Jupiter impulses encourage you with an assertion of yourself difficult to handle, which creates disturbances around you. Make it sure before drawing conclusions. Time is the most open possible to dialogue, to break barriers and taboos in any kind, without causing war will be the best road to leave relational dead ends thinking, in all the fields. Your loves arise with more lightness that last year. You will take more time to live them, to create them, to polish them and to maintain them. The Jupiter aspects will cause in you a release of your affectivity in the direction of a truer expression, nearer to that you feel internally. You will live and taste intense moments which touch you directly. The aspects of Uranus in aspect with Jupiter add to your love life confidence and especially chance: If you are single, this year will be determining as regards sweeping your past effectively in order to set out again then on new bases, thing which you will be able to implement from March 2011. Passion enters your life without compromise, these months will be intense in emotions. The only negative point to avoid would be to formalize you in front of the mood changes of your partner. That will be subjected there more than usual, but that does not call into question the bases of your bonds. Your temperance with you will bring balance. Jupiter and Uranus in aspect covering with your sector come to lessen the angles of your life and to reduce you sometimes in a strange way, certain burdens, which you have carried for four years, particularly. New needs for freedom are felt, but this is especially the moment to advance your projects and to benefit from the relational facilities which is announced in this direction. Because of another share, you will be tempted to let run time in the unconcern without providing of particular strains. What certainly, would bring very good moments to you, but would make you lose important chances, in particular at the professional level. Do not let slow down the flow of your chance by numbners, which you can extremely well live thoroughly during your moments of intimacy. Jupiter confers you a stronger self-assurance in you, healthier, managed better than usual. The unconcern facilitates the life and facilitates several actions. On the other hand, this aspect tends to make you forget certain legal considerations and with playing too much with fire in that way… Make in kind not take ill-considered risks by circumventing the law, the payments, avoid the negligence and the distractions in your papers. Uranus in aspect with your sign supports extreme propensity, behaviours idealized in connection with reality, to see mirrors with the larks. Look after the practical details in all that you made in autumn particularly. The Saturn opposition to Neptune is direct, this year. This will cause little not founded fears or, a propensity to insulation or in the opposite direction, to mingle you with imports which to flee loneliness. Indeed, an insatiate require for recognition goes back to surface, and pushes you with sometimes excessive attitudes, sometimes too sober, too in withdrawal. Fleeing reality is not used for nothing, to remain there too much locked up is not good either. With you to seek a point of balance which enables you to live such as you hear. All that relates to the specializations and studies, are favoured in autumn, which would enable you to effectively drive out this feeling of lack of confidence in your own capacities. You know that you should provide main efforts to manage to reach some of your objectives; you feel that you will have resistances, you admit it without difficulties. Nevertheless, that costs you far too many interior tensions. Because you enlarged the obstacles, of fear to minimize them! This phenomenon, indicated by Uranus in quincunx to your sign, could be harmoniously counterbalanced by the effects Jupiter, if you do not destroy them from too much pessimism. It is necessary to know to give, sow, to collect then. The transit of Pluto tightens its manipulate and continuous to cause in you unreasoned fears. Continue your effort of realism to stop this tendency. You will advance on hubcaps this year, to manage to satisfy your desires, in all the fields. Indeed, the impulses combined of the Sun, Saturn and Mars present a new weighting to you which will surprise your entourage. Ordinary all in flexibility, you will much less hesitate to show you directing and this is without call which you will say high and strong which are your most urgent claims. If you have between 28 and 37 years, that is likely but to cause relational damage that you n’ will not have wished. Make in kind pull down you of any aggressiveness to broadcast your messages. The aspects of Pluto in square to your sign return to you incisive and caustic almost in spite of you, you are the only one with being able to balance these tendencies with the proper perspective. The interior deceleration which is done in you can let to you suppose that you will go too slowly towards the achievements of your objectives. You do not trust these entirely subjective impressions which from influence Saturn, come spontaneously to you. Indeed, this deceleration can precisely enable you to put right several shootings which you had developed in the tread of so much other things, that certain corrections could improve the things considerably. Take time to think quietly of the turning which your life takes, expectation will carry you chance. Assessments, developed are beneficial this year, do not hesitate to insulate to you with this intention. To put all its heart in the deliberations related to your safety and that of your close relations, this is all with your honour. Nevertheless, you will be carried to making some too much, this year, at the point to forget that it is essential to have moments to release taken for resource. The impulses of Pluto which still influence push you to go until the sacrifice sometimes, to protect certain people. The founded good of your action is to be called into question: you do not be Superman! Your direction of realities (Saturn) completely lucid in this moment does not tally completely with the psychology which you project on your entourage; you must make in kind revalue your close relations before protecting them at all costs or judging simply which are their true weaknesses. The tonality of your love life will be mitigated at the beginning of year. You are asking yourself many questions, and the answers are never simple, finally. That you are single or already in couple, you will meet conditions which will enable you to reinforce your existing bonds or to create new the very favourable ones in the long run, provided that you are ready to take patience as for l’ evolution of your partner. Your attractivity is rising, you will not have any complexity in allure, to convince, your expression gains carefully and your affectivity is acting… A second should not especially be hesitated to leave your reserve, and to accept the invitations and festivities which will not fail to arise! The festival will be related to the love, the meetings are favoured in light environments, at the end of the year. It is a climate which supports the reconciliations. You feel the need to centre you on your aspirations and will have in heart to reveal them in your manner of being in an absolute way. You will go beyond simple appearances and you will seek the company of those which are truly sincere, to benefit fully from the good things of the life, passionately. You could be attentive, tender and diplomat while being more authentic than ever. The relations with the children are favoured this year. Success of last year will have an immense interest to bring a certain nervous relaxation to you and especially the awakening owing to the fact that you have need maintaining to raise the foot, in particular for all that relates to the material considerations. Indeed, the Saturn impulses always in square with your sign, alleys with the Jupiter effects in a friendly sign help you to become aware of the already traversed road. Profit accordingly occasion to remove you from your useless culpabilities. They are not only a burden which slows down your walk, and this, without making of good to anybody. This is alarming remainder in you more of you that you will have in hands the best means which are so that your entourage profits also from your good being. You lean definitely towards serenity, this year, in the sentimental field. Your thirst for peace and balance is in inflation! But the circumstances which you will know however encourage you to carry out handing-over in question which are essential but which goes to opposition to your immediate peace. On the other hand, you are likely to attract partners who are in search for protection. Be careful, even if that is definitely very flattering… In the long run, that could become a load of too in your life! The second and fourth month of the year will be most carrying personal satisfactions, you will be right to show all the amplitude of your desires, until most intimate. You will live for the first time! 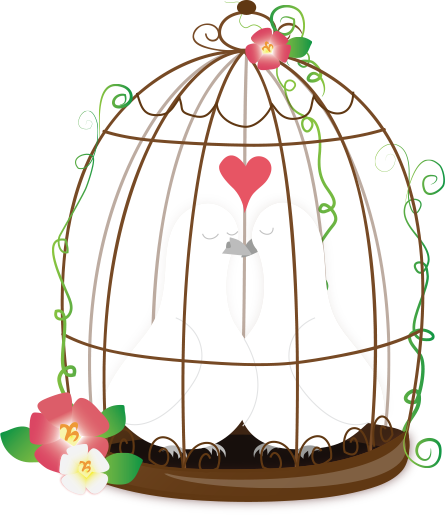 If you are in couple, your partner will show himself more inclined to understand you in your intimacy; the intimate conversations are more fluid… Your patience impresses positively and softens the angles of your relation. You will note a harmony growing between you. Your confidence in you is reinforced, and that helps you to remain calm in spite of the critical pseudo of your partner. If you are in a double or nebulous situation, you will learn some long during spring, that will allow you more precisely to see the situation before judging it and slicing definitively, this time, this is to be wished… Do not tergiversate any more if you hesitate since last year. You know well that tormenting too much you does not make advance your business and withdraws you means of action that however in normal weather, you control… All this concern that you made puts sticks in the wheels to you. Admit that you enlarge the events as by reflex. Saturn indicates that you are exposed to this tendency, this year, which also attenuates your happiest and pleasant moments! Neptune in your sign comes to encourage you with more escape from the material considerations, which overlaps with moments of concern on this same field. Find a point of balance which allows you to act without tensions and all while preserving you of the moments out of time. You are ready this year to clean your life, and to radically stripe the past of your current chart. You feel in you a need to go from the front and more quickly than these last months. Such a wind of revolt is likely to cost you troubles if you made not there left to act in an order which is appropriate for your interests. Think twice before cutting bonds which in addition, could be useful and even more than that. Your eruptive sensitivity infantilises somewhat your reactions…. Seek to make return more pleasure in your life before making irrevocable decisions. Beyond your propensity natural to idealize the sentimental love songs, you this year will exceed you to concretize your most intimate dreams. This is free or double, you will not have patience to make cinema and especially to play the detachment that you n’ do not test! So you can test difficulties of respecting the needs fully; independence of your partner, who will not fail to him to assert his share d’ autonomy, especially during the first three months of the year. With you in profiting to give a progress report on your relationship to objectivity and to observe what owes to be at your partner. You will then be able, during the three months of spring 2011, to act and to put all the chances of cutter with dimensions. Because you will have at this period, more impact and of magnetism in the sentimental field… On the other hand, a Saturn dissonance wakes up fears of abandonment which take root very far in your past. And even without going very far, you will feel a deep need to ensure you of the reliability of your entourage. It will not be the moment to seek to make radical transformations… But to still collect elements before setting up the changes which will appear clear the next year to you. About 2011? I’m LEO and everything in this post just correct! 2011 was awful I hope 2012 becomes better as you wrote here….